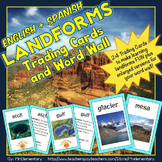 Basic ppt of landforms (accidentes geograficas) in Spanish for Pre school, Pre K, or K. Includes: sun, cloud, mountain, valley, hill, waterfall, lake, forest, and river in Spanish with a picture. 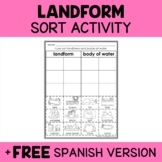 Students will draw different landforms such as mountain, river, hill, lake, plain and valley on a worksheet. 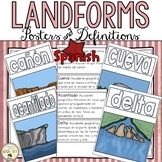 The next unit in our elementary Spanish textbook is on geography and landforms. 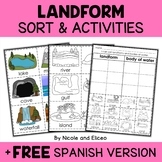 I wrote this story to teach my students the words "el mar", "la isla", "las montañas", and "el río". What better way to teach these words than to have a pirate look for a secret treasure on an island? 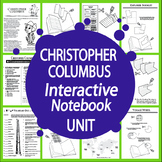 In addition to "